St. John’s has stood at the centre of the New World since the 15th century, so it’s no stranger to visitors. St. John’s has stood at the centre of the New World since the 15th century, so it’s no stranger to visitors. The city is easily accessed by land, sea, and air, with a ferry service from mainland Canada and an international airport minutes from the downtown core. Once you arrive, there are numerous transportation options, including public transit, car rentals, taxi services, and an easy-to-walk and navigate downtown. 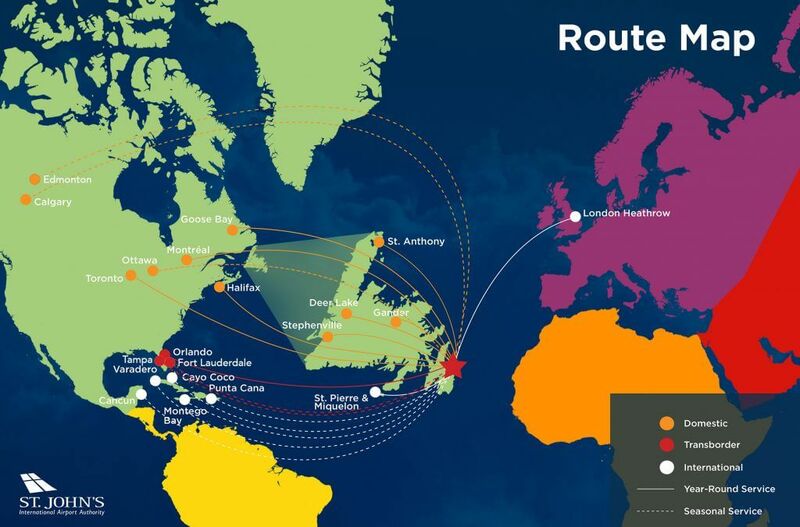 A provincial hub for both regional and global airline connections, St. John’s International Airport is a great starting – or ending – point for your journey. Bustling and modern, our airport is serviced by all major Canadian and regional airlines. The St. John’s International Airport is a 10-minute drive from the city centre. Making your journey by ferry? Marine Atlantic operates a daily year-round ferry between Port aux Basques in southwestern Newfoundland and North Sydney, Nova Scotia. 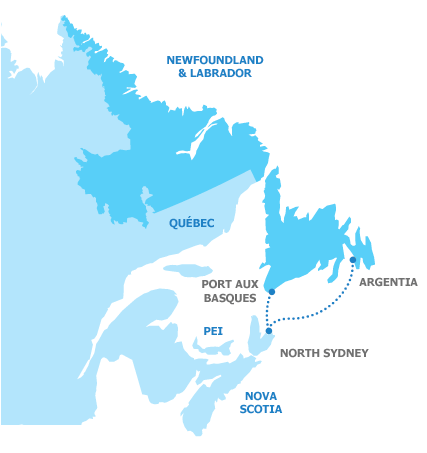 In the summer, there’s a tri-weekly crossing from North Sydney to Argentia – just 131 km from the city of St. John’s. Be sure to book your passage ahead of your journey by calling 1-800-341-7981 or online at www.marineatlantic.ca. The province also offers a wide range of local ferries and coastal boats dedicated to serving local routes and remote coastal communities. For more information on local ferry services (and to make reservations before travelling), call 1-800-563-6353.
INSIDER TIP: Given the high demand for rental vehicles it is strongly recommend that you reserve your vehicle now. Get off the beaten path and onto the Trans-Canada Highway to explore the infinite wonder of Newfoundland and Labrador. The highway traverses the province, linking Port aux Basques on Newfoundland’s west coast to St. John’s, a distance of 905 km (565 miles), with plenty of opportunities for side trips and scenic detours. Take a day trip around Eastern Newfoundland and explore the colourful outports along the Irish Loop, the Cape Shore, the Baccalieu Trail, the Discovery Trail, the Heritage Run, the Admiral’s Coast and the Killick Coast. In a place that often seems larger than life, it’s easy to forget that St. John’s is a small city in a very large province. If you’re travelling by car, or interested in exploring the sights, be sure to look at the chart below to get an idea about the distances between popular destinations. To convert kilometres to miles, divide by 1.6. Step on to the Link and step off at all the historic destinations St. John’s has to offer. A seasonal service operated by public transit, the Link stops at Signal Hill National Historic Site, Johnson Geo Centre, Quidi Vidi Village, Commissariat Provincial Historic Site, Newman Wine Vaults Provincial Historic Site, and the Railway Coastal Museum. The Link offers numerous bus stops along Water Street, and conveniently near the City of St. John’s Visitor Centre, the Delta Hotel and the Sheraton Hotel Newfoundland. For schedules and rates visit www.metrobus.com/thelink.